We introduce you our colleague Lucia. 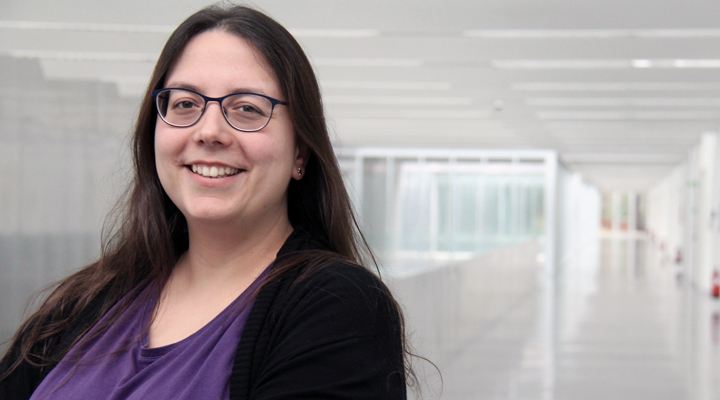 Telecommunications Engineer, Lucía works in the field of IoT and embedded systems in the Intelligent Networked Systems (INetS) department at Gradiant. Puzzles and fiddling lover, this Galician woman loves films, reading, and doing crafts, like the sewing and the crochet too. To build things. I liked anything that involved dismantling devices, seeing how they worked or creating new things. In general, I have always liked science a lot. Because technology got most my attention and I liked it. It has a very important component of creativity. I was hesitating between Telecommunications Engineering in Vigo and Aeronautics Engineering in Madrid, and in the end, I stayed with Telecommunications Engineering because I founded more interesting (in terms of applications and outputs) and was closer home. I am working in remote monitoring systems for Smart Cities, especially in the part of connectivity and data collection. I also work in industry 4.0 issues, for example a simulator for production planning in factories. I love it is not monotonous; we work with the newest technologies, always looking for how to solve problems in an efficient and innovative way. My daily work many times is like solving puzzles. Then you have something that you have done and it works and it is useful, that is very rewarding. The truth is that I do not have any, but if I had to say one, it may be Limor Fried, founder of Adafruit. Technology is very fun, and more and more great things can be done thanks to it.